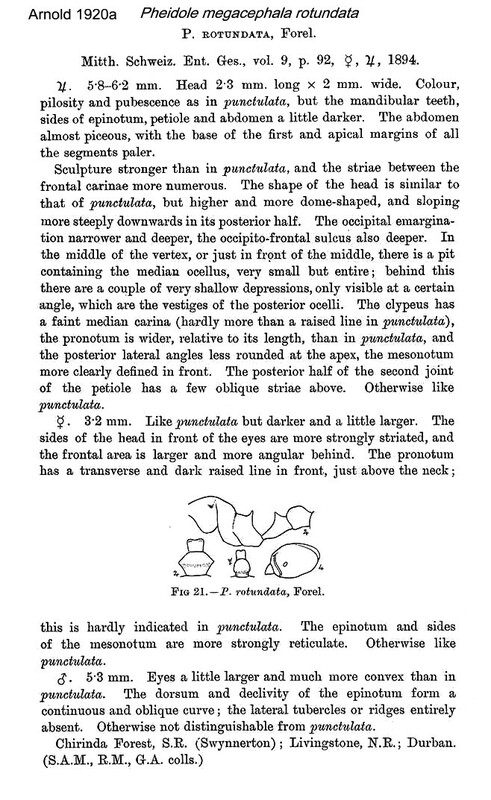 Forel's (1894b) description is at . 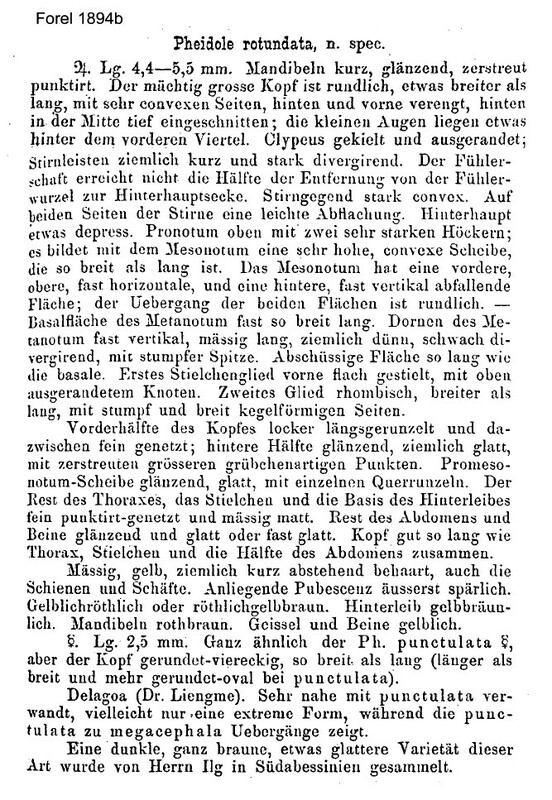 Forel's (1907g) description of the ilgi workers is at . 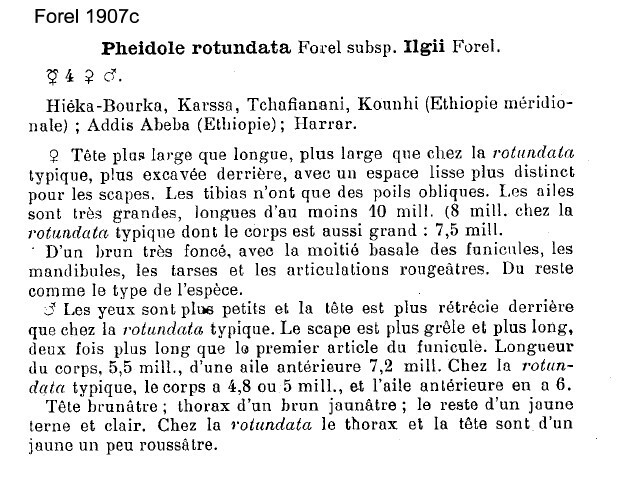 Forel's (1907c) description of the ilgii queen and male is at . 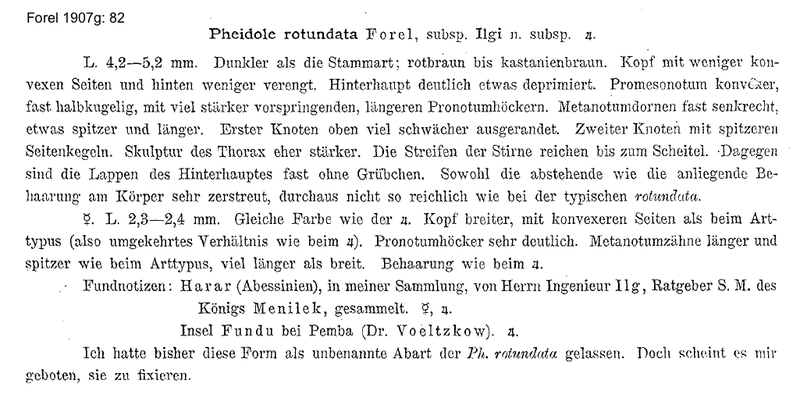 Arnold's (1920a) translation of rotundata is at . 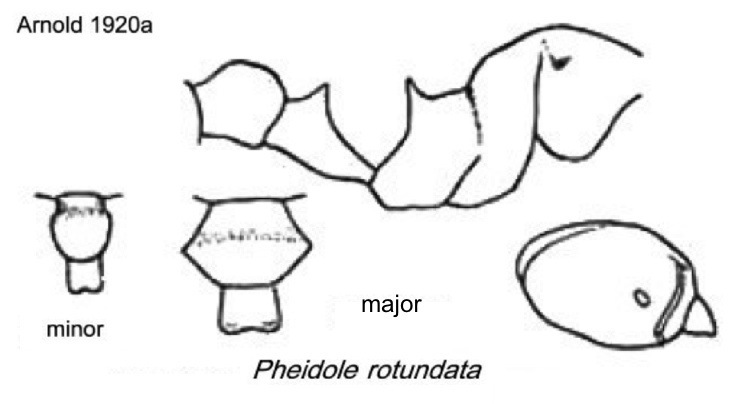 Under megacephala ilgii, Arnold (1920a) noted the head of the rotundata major is widest in posterior fourth. Santschi's (1932a) description of the queen is at . Note: The type images below (botttom of the page) of ilgi are closely similar to the rotundata types. The ilgi major is slightly smaller but the minor is marginally larger. The fresh workers from South Africa show the colour of iIgi. 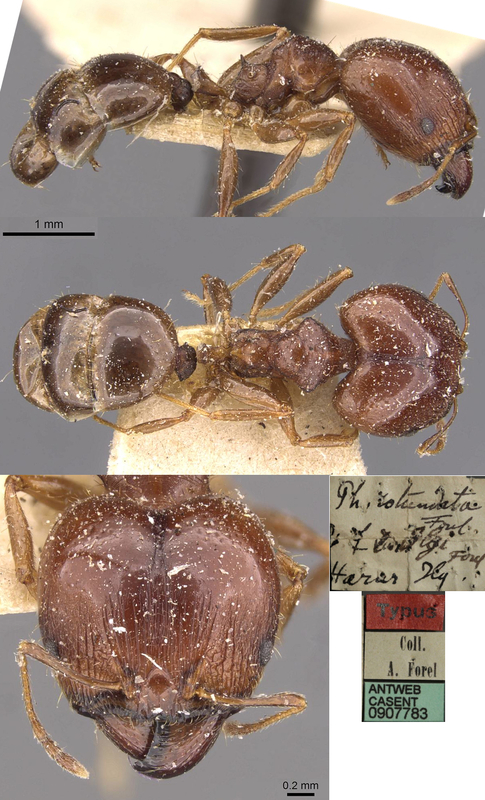 The photomontage of the type major worker is collated from http://www.antweb.org/specimen.do?name=casent0906509. 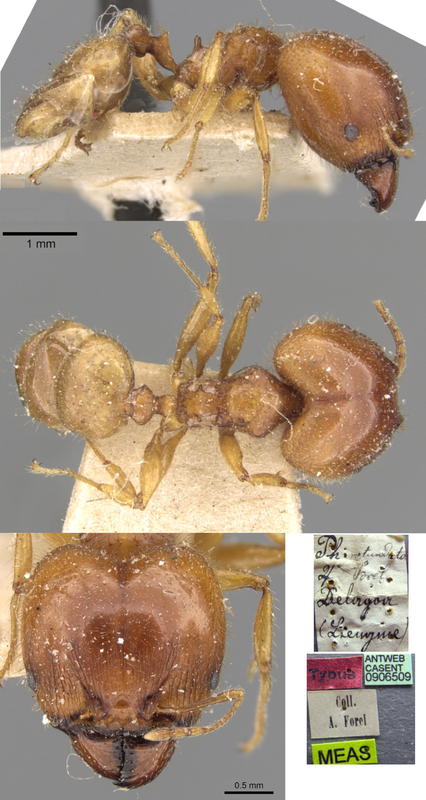 The photomontage of the type minor worker is collated from http://www.antweb.org/specimen.do?name=casent0906511. The photomontage is of a major worker collected from South Africa, Pretoria, Peter Hlavác. The photomontage is of a minor worker collected from South Africa, Pretoria, Peter Hlavác. The photomontage of a type queen is collated from http://www.antweb.org/specimen.do?name=casent0906508. 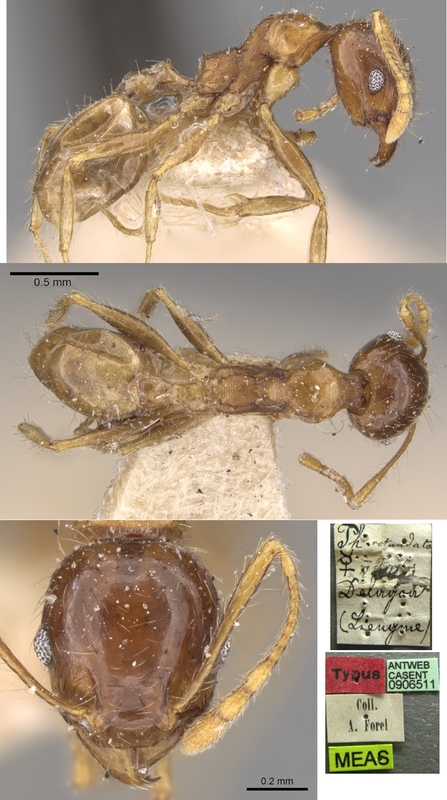 The photomontage of the ilgi type major worker is collated from http://www.antweb.org/specimen.do?name=casent0907783. 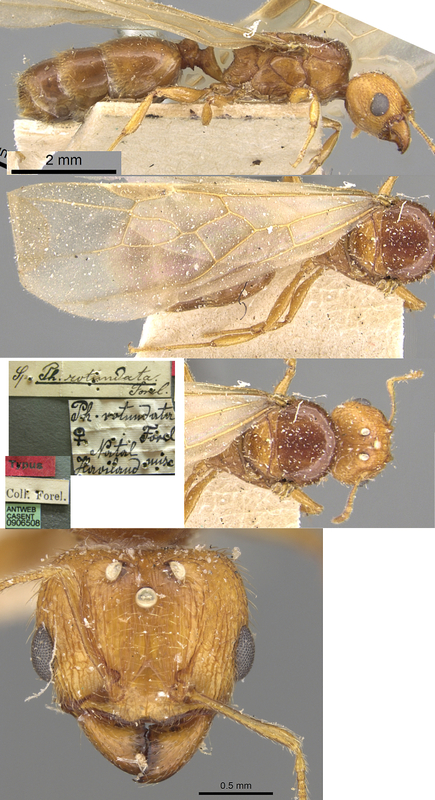 The photomontage of the ilgi type minor worker is collated from http://www.antweb.org/specimen.do?name=casent0907784.